​Spain began their Euro 2020 qualification campaign with a win in Valencia as they beat Norway 2-1 on Saturday night. Spain took the lead in the 16th minute, as Rodrigo met Jordi Alba's cross perfectly and guided it home to give La Roja a deserved lead. Norway had a huge chance to equalise 15 minutes later, but Tarik Elyounoussi somehow ended up diverting the ball away from the open goal. Luis Enrique's side thought they had doubled their lead before the break with a wonderfully worked team goal, but the move finished off by Alba was disallowed for offside. ⏱ ¡¡¡FINAL, FINAL, FINAL!!! ✌ Sumamos los 3 primeros puntos en nuestro camino hacia la #EURO2020. However, Spain retook the lead just six minutes later, winning a penalty of their own. Captain Sergio Ramos stepped up and delicately chipped the ball down the middle to restore La Roja's lead and secure all three points. Here's our take on Saturday's European qualifier. 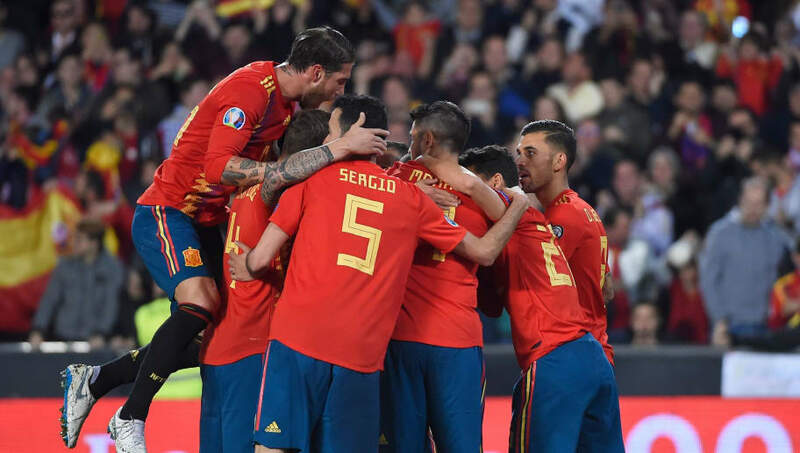 After a mediocre Nations League debut last year, Spain were eager to begin qualifying for next year's European Championship with a win, and they certainly did that. They were fantastic at the Mestalla and thoroughly deserved the three points on a successful night in Valencia. STAR MAN - Both Jordi Alba and Rodrigo in fine form, but it was the former who really stood out for Spain. Alba set up Spain's opening goal and was outstanding all night, creating chance after chance and defending brilliantly in an excellent performance. Norway had confidence coming to the Mestalla, following a successful Nations League campaign. However, they failed to capitalise on it, leaving empty handed. Nevertheless, they should remain optimistic and still have every chance of qualifying for next year's tournament. STAR MAN - There was little for Norway to celebrate, with the exception of Joshua King's penalty. The ​Bournemouth forward scored brilliantly from the spot, and although it came to nothing it was the highlight of the evening for the visitors. Both sides are back in action next week, when they play their second qualifiers on Tuesday. Spain face Malta in Ta' Qali, while Norway host their Scandinavian neighbours Sweden in Oslo.